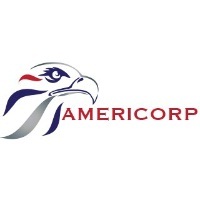 Americorp International Group's management team has a combined experience of more than 60 years in various industries. For 15 years and counting AIG has established excellent relationships with a prestigious and elite list of clientele including Fortune 500 companies, NGOs, commercial clients, and various governments both in the United States and abroad. As a conglomerate of companies that provides quality services, products, consulting, and support worldwide, AIG has expertise in the following industries: Facility Services, General Staffing, Logistics, Mining, Petroleum, Technology, Construction and Development.